This review is based on an advance reader’s copy of My Family Adventure, which is a multi-story volume with “Picture Perfect,” “Abuela’s Birthday,” and “The Missing Mouse.” These texts are also sold as separate early chapter books. PUBLISHER’S DESCRIPTION: Growing up in a big family, 7-year-old Sofia Martinez is used to fighting for attention. Her outgoing personality mixed with her confidence and fiery passion for everything she does gets her that attention — even if it’s sometimes mixed with trouble. Sofia is a little stubborn and a lot mischievous, so you can imagine the fun she creates in this early chapter book series. A few Spanish words and phrases are intermixed throughout the story, bringing the importance of Sofia’s culture to life. Discussion questions, writing prompts, and a glossary complete each book. MY TWO CENTS: The Sofia Martinez series is a lovely addition to the world of early chapter books. All newly published in 2015, each of the books can stand alone, and they needn’t be read in any particular order. Lively main character Sofia keeps herself in the middle of the action in her loving, playful extended family, and her adventures are light and joyful with a touch of mischief. The charming illustrations by Kim Smith will bring giggles to young readers. 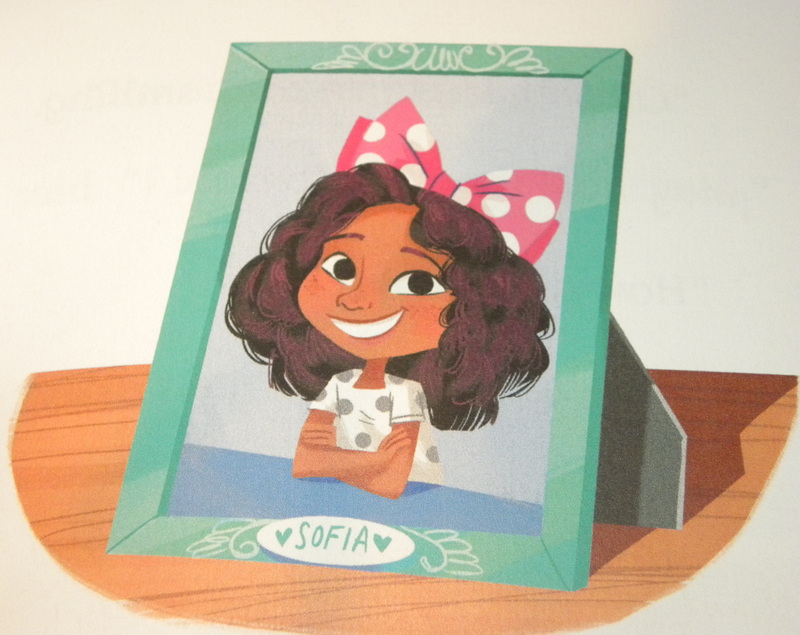 In “Picture Perfect,” Sofia decides to switch her school photo with one of her sister’s, and she’s disappointed when no one notices the swap. The same evening, a baby cousin gets tons of attention because of the enormous pink bow she’s wearing in her hair. When picture days rolls back around, Sofia is determined that this time she’ll stand out. Any guesses as to what Sofia borrows to put in her hair on picture day? “Abuela’s Birthday” centers on Sofia’s (very messy) plan to make a piñata for her grandmother’s birthday. Once the mess is cleaned up, she persuades Tía Carmen for one more chance, and with the help of her cousins and siblings, Sofia makes a great piñata. Even the surprise inside of the piñata—playing cards instead of candy—shows Sofia’s creativity. In “The Missing Mouse,” Sofia gets advice from Abuela and help from her cousin and sisters to recapture a runaway classroom pet without disturbing her mother while she gives a piano lesson. The solution involves a good deal of creativity and improvisation. A bucket, some blocks, peanut butter, and a few shrieks from her sisters are also involved. It’d be hard to deny those four a chance to try again with the piñata endeavor. The production of these books is especially thoughtful. The use of pink for words in Spanish produces an effect much like what Sofia achieves by wearing an enormous bow for her school picture. It marks Spanish as special–and very much part of Sofia’s world. In general I’m not much of a fan of glossaries, but here, I think it works well as a support for teachers and students not familiar with the Spanish, and a glossary is definitely preferable to embedded translations. When readers graduate from the world of Sofia Martinez, they can dip right into Jacqueline Jules’s Freddie Ramos/Zapato Power series for slightly more independent readers (grades 1-3). TEACHING TIPS: The Sofia Martinez series is a great match for students in K-2 (possibly stretching upward a bit for students who have literacy skills in Spanish but are transitioning to reading in English). Think of readers who are beginning to read on their own and for whom the idea of a chapter book has appeal. The advance reader’s copy did not have the discussion questions or writing prompts mentioned in the publisher’s description, so I can’t comment on those. Instead, I’d like to talk a bit about the linguistic opportunities offered by the series. 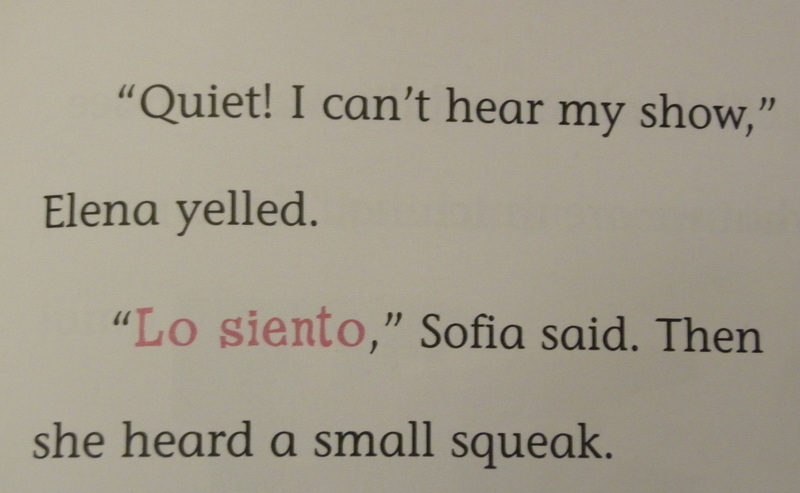 The change in color for Spanish words in phrases in the Sofia Martinez books will help young bilingual readers recognize when they should apply what they know about Spanish decoding and pronunciation and when they should follow the norms of English. I can imagine this as a confidence builder for Spanish-speaking students learning English in bilingual, ESL, or English-only settings (“Look! You already know these words in Spanish!”). Teachers in English-only classrooms might consider making their Spanish-speaking students “experts” on the Spanish words and phrases when sharing the stories in small or large group. Non-Spanish speakers may take pride in knowing the “secret” words in the story and, with a little coaching, will be able to handle the small amount of Spanish even when reading aloud. Teachers might pause students on pages where we see Sofia’s “I’m getting an idea” facial expression. What do they think will happen next? When she gets into a pickle, as in “Abuela’s Birthday” and “The Missing Mouse,” ask students to suggest, draw, or journal about the solutions they would try to solve the problem. In Spanish-English bilingual classrooms, students might also experiment with using Spanish their own stories. Using the color switch technique from Sofia Martinez can strengthen students’ sense of pride in their Spanish abilities while also signaling to monolingual guests or administrators that the movement between English and Spanish is intentional and linguistically appropriate. More importantly, this narrative tactic is culturally relevant to the young people sharing their stories. Above all, have fun with Sofia! Jacqueline Jules is the award-winning author of more than twenty children’s books, many of which were inspired by her work as a teacher and librarian. She is also an accomplished poet. When not reading, writing, or teaching, Jacqueline enjoys taking long walks, attending the theater, and spending time with her family. She lives in Northern Virginia. Kim Smith has worked in magazines, advertising, animation, and children’s gaming. She studied illustration at the Alberta College of Art and Design and is the illustrator of several children’s books and the designer for the cover of the middle-grade novel How to Make a Million. She lives in Calgary, Alberta. 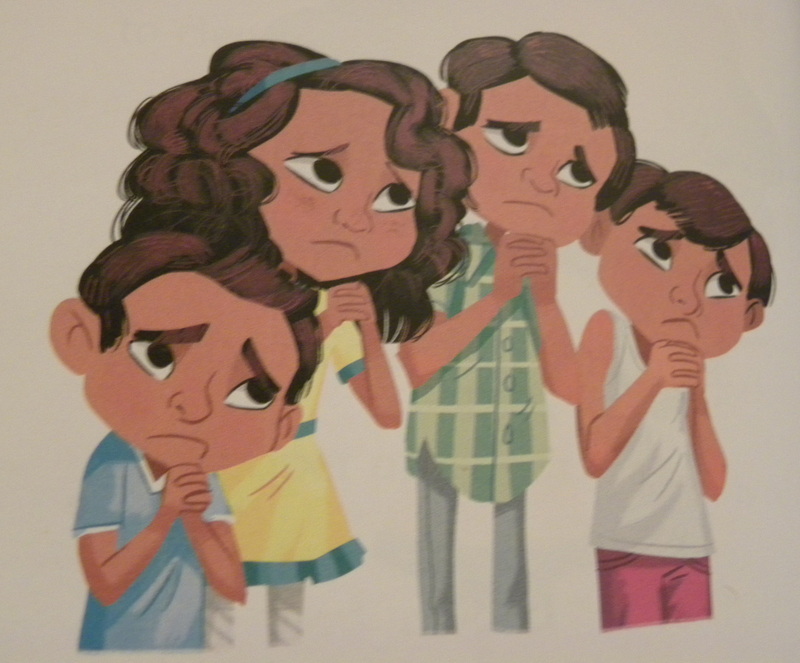 Any book about mischievous kid, Sofia Martinez in this case, should appeal to young readers. The Movies “Home Alone” did well among young viewers who enjoyed the kid playing tricks on adults … so I can see why your son enjoyed the “tricks” of Sofia.